Epic Rap Battles of History have brought the world of pop culture a meeting of the minds that can only be explained as EPIC. With their bonus battle, we have, in the red corner, the merc with a mouth, the regenerate degenerate, old pizza face himself, Deadpool! In the blue corner, we have the most feared bounty hunter in the galaxy, one of the most celebrated characters in Star Wars history, Boba Fett! Who won? 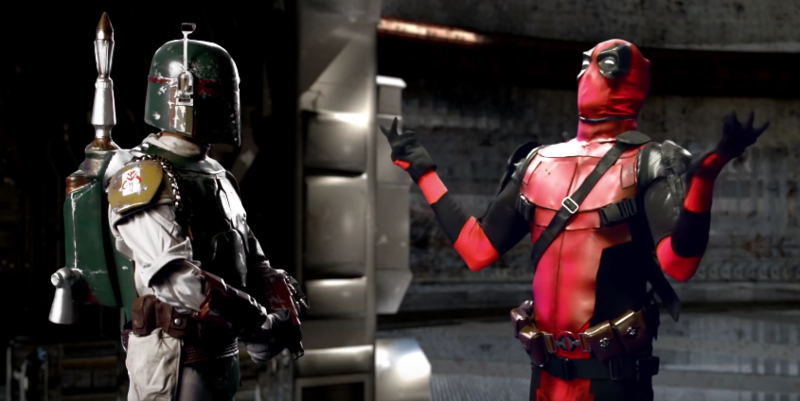 Personally, and though I am a huge fan of both mercs, I have to go with Deadpool. He killed it!! Who do you think won? Next PREVIEW: Older. Wiser. Sharper. Your New Look at OLD MAN LOGAN #1!